A mentoring and training programme targeted at women in sound in Brazil. Arte Sonica Amplificada (Amplified Sonic Art) is a mentoring and training scheme targeted at women in sound in Brazil. In its first year, ASA selected a total of 50 women in Rio de Janeiro out of 250 applicants to support them in building their skills in sound further. The scheme launched in 2018 and will take place across 3 years. 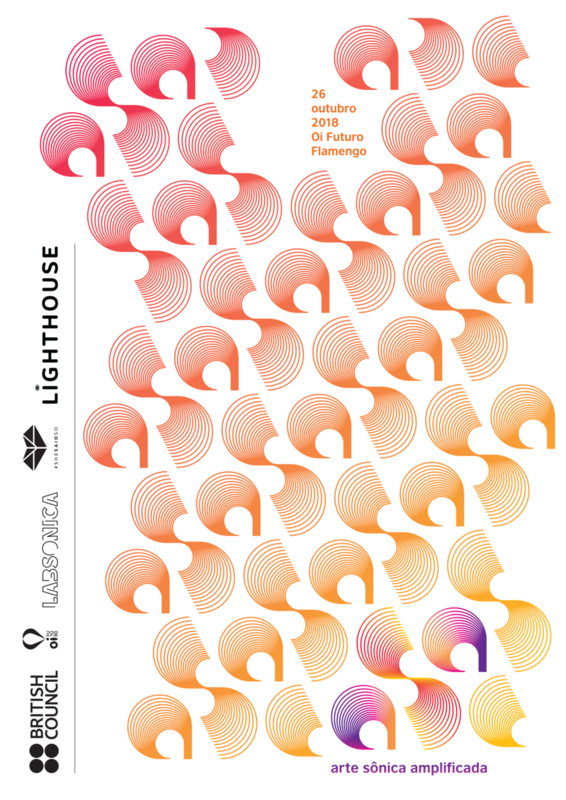 Produced in collaboration by the British Council, Lighthouse, Oi Futuro and shesaid.so. Following a competitive selection process during which 246 applications were received, 50 participants living in or around Rio have been chosen to take part in the programme. They will receive training in audio engineering and/or music and sound production over the course of 6 months. The six month pilot phase kicks off with a three-day event in Rio, 26-28 October 2018. Four leading sound artists and practitioners from the UK traveled to Brazil to deliver a talk and workshop for the participants. In the months following the event (November-March) the UK experts will each mentor two Brazilian sound practitioners, who will in turn mentor the ASA participants as they develop and produce new works, with technical support and access to the recently launched Labsonica facilities at Oi Futuro. The pilot phase of ASA will conclude in March 2019 with a closing event. This will be an opportunity to present ideas and work developed through the programme to an audience of creative community and industry guests. In Rio, ASA is being led by Oi Futuro, an arts and culture organisation working across Brazil to deliver education and creative/professional development programmes, including initiatives aimed at emerging artists/practitioners from disadvantaged communities. Cathy FitzGerald is a writer, producer and presenter, who the Radio Times calls "one of radio's most original thinkers". Her audio documentaries explore diverse subjects such as magic carpets, angry Vietnamese ghosts, reindeer-racing and a museum of broken hearts, and have won multiple accolades including Whicker's World, Prix Marulic, Third Coast Festival and Radio Academy Production awards and Prix Europa commendations. She presents and produces BBC Radio 4's recurring art-history series, Moving Pictures, made in conjunction with Google Arts & Culture, and has written websites, audio tours and apps for many of the UK’s major cultural institutions including The National Gallery, Tate Modern, Tate Britain, the V&A, the Imperial War Museum and Historic Scotland. Ain Bailey is a sound artist and DJ. Her current practice involves an exploration of sonic autobiographies, architectural acoustics, live performance, and collaborations with performance, visual and sonic artists. These include performance/visual artist Jimmy Robert, who commissioned Bailey to create a composition for his 2017 show 'European Portraits' at PEER Gallery, London. Her collaboration with the artist Sonia Boyce, “Oh Adelaide” (2010), has been exhibited at Tate Britain, the Whitechapel Gallery and The Kitchen, New York. In 2016, Bailey was commissioned by Art Basel Miami Beach to compose for the Soundscape Park, and in 2017 collaborated with Gaylene Gould on the creation of a Sonic Trail for Tate Britain. She also performed at Guest, Ghost, Host: Machine!, the 2017 Serpentine Marathon. Currently she is conducting sound workshops with LGBTI+ refugees and asylum seekers as part of a commission by Serpentine Projects. Hannah Catherine Jones (aka Foxy Moron) is a London-based artist, scholar, multi-instrumentalist, radio presenter (BBC Radio 3 - Late Junction, NTS - The Opera Show), composer, conductor and founder of Peckham Chamber Orchestra – a community project established in 2013. Jones’ broad practice is connected by a central spine of inclusivity and “decolonization”. The ongoing body of work The Oweds are a temporal form of (self)-reparation, a method of connection with ancestry though sonic ritual using combinations of voice, theremin, stringed instruments and visuals, sometimes orchestrated and predominantly improvised. Jones has performed and lectured internationally, including at Oxford University, Trinity LABAN, Royal College of Art, Kingston, Sussex, Teesside, LCC, ECA, Liverpool Bienniel (UK), NYU, Harvard (US), Umuzi (SA), Liquid Architecture (AUS), and has exhibited widely including at Serralves Museum of Contemporary Art (Porto) Wagner Museum (Bayreuth), Beirut Arts Centre, Modern Art Oxford, Tate Modern, Gasworks, Guest Projects, Vitrine, IMT, Almanac and Whitechapel galleries (London). As a freelance Music Composer, Music Editor, Supervising Sound Editor, Audio Director, Location Sound Mixer and Re-Recording Engineer, Vanesa Lorena Tate moves between London and Los Angeles and has worked alongside leading directors such as Walter Salles (On The Road), Guillermo Del Toro (Hellboy 2), Tim Burton (Sweeney Todd), Alejandro Gonzalez Iñarritu (Biutiful), David Yates (Harry Potter and the Order of the Phoenix), Stephen Frears (Cheri) and Kevin Reynolds (Tristan & Isolde). In 2012 she became Audio Director for EA Games’ Need for Speed franchise following three successful titles for Criterion Games/EA, and delivered a fourth title, Need for Speed: Rivals, in 2013 on PS4, PS3, Xbox One, Xbox 360 and PC. She has since continued her work as Audio Director for AAA games such as Amazon Grand Tour, Project CAR and Project CARS 2, and Red Bull Air Race. The British Council contributes to the development of Brazilian creative industries, exchanging and showcasing quality Brazilian and UK artistic content and providing skills training. Oi Futuro is Oi corporation’s social responsibility institute. Their mission is to develop and support ideas capable of building a better future working across arts and culture, social enterprise and education. Labsonica is a new space recently launched at Oi Futuro, which aims to become a laboratory that converges art, innovation and technology through shared ideas. It focuses on research, prototype, and creation in the music and sound field.